Creepy children are a mainstay of the horror genre. Going back to “The Bad Seed” and beyond, children have proved capable of unnerving audiences with a combination of precocious dialogue and psychopathic behavior. 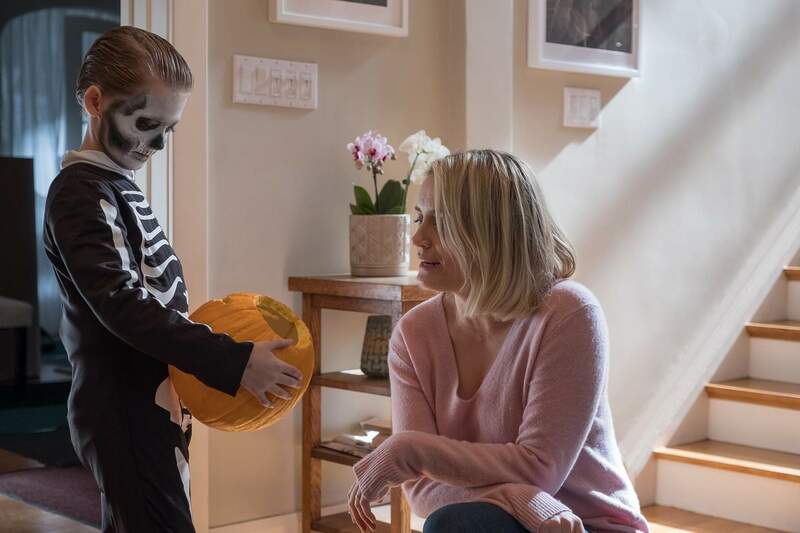 The chilling new horror film “The Prodigy” continues that fine tradition, with one intriguing complication: In the hands of director Nicholas McCarthy and screenwriter Jeff Buhler, the young villain is a metaphor for parental failure. That doesn’t last long. In a burst of sudden violence, Miles grabs a monkey wrench and beats a classmate. Alarmed, Sarah takes him to a behavior specialist (Colm Feore), who suspects that another, more disturbed consciousness may inhabit Miles’ body, alongside his own. Trusting the audience’s intelligence, the filmmakers waste no time with ambiguity about whether Miles is evil or simply misunderstood. Buhler’s script is clean and economical, with an inexorable logic to each twist. What’s more refreshing is how the scariest moments upend the clichés of the genre. When Sarah goes into labor, for example, a cute puppy watches her and John gather their hospital bag. We suspect that the poor dog will fall victim to Miles’ hands, and that it’s just a question of when. And that subplot does resolve itself in an exacting, tragic way. But by making the dog’s fate more about character development than chills, McCarthy creates an involving scenario that leads to a shattering payoff. Horror fans will recognize Scott from the recent adaptation of Stephen King’s “It.” In that 2017 film, the actor played an achingly sincere little boy whose body is later possessed by a demonic spirit. As Miles, he hits those same notes – with an added dose of dark comedy. Scott transitions between these two modes seamlessly; his ability to contort his face and alter his tone make his portrayal utterly convincing. It’s rare – and disconcerting – to hear a child actor using four-letter words, especially in the way that they are spoken here. McCarthy shrewdly taps into that unease, manipulating us into believing his young star. The final stretch of “The Prodigy” involves Sarah’s desperate, and bizarre, plan to save her son. McCarthy adds just enough plausibility that we can accept the strategy, which clearly makes sense to her. Several nightmare sequences fuel her desperation, including a flourish so strange and bluntly effective that audiences will remember it long after the film is over. Schilling’s performance is crucial to the success of the film’s climax: Sarah makes many quick decisions, reversing some of them, but her turmoil never strikes a false note. There is also emotional complexity at work. What motivates Sarah is her devotion to Miles, but her reward for that devotion comes with a punchline both sinister and inevitable. McCarthy is not (yet) a celebrated director, but “The Prodigy” may change that. As with his under-seen debut film “The Pact,” his greatest asset here is his patience, followed by his evocative use of light, shadow and negative space. He’s a filmmaker who recognizes that the buildup is more fun than the payoff, and he manages to generate suspense with seemingly little happening on the screen. If parents hire a sitter so they can see “The Prodigy,” they just may look at their kid differently when they get home. They may also be relieved that the caregiver is unharmed.